April Fools’ Day is a day of trickery, jokes, and mind games. Instead of filling your head with false information, I am going to exploit false information with truth: carbs are destroying your brain! This ingredient tricks even the healthiest of eaters because it comes in a variety of forms. It has alias’ such as brain food, energy producing, and vitamin rich and disguises itself in everyday products ranging from bread, a household staple, to performance enhancers, such as sports drinks. 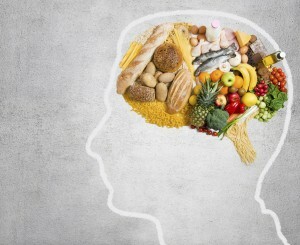 The foods that were once the bottom and most important tier of the food pyramid are now thought to be hindering the growth of new brain cells. Foods that had a bad reputation, such as fat and oil, are actually a crucial ingredient to a healthy diet. According to notorious neurologist, David Perlmutter, by taking good fats out of your diet, you are paving the way to brain disease because the brain is made of the fats we choose to consume. Dr. Perlmutter is author of Grain Brain and says grain contains a protein called gluten, which promotes inflammation – the cornerstone to a variety of diseases. Our lifestyle choices and dietary habits are the determining factor to developing Alzheimer’s, dementia, ADHD, anxiety, chronic headaches, depression, and more. According to Perlmutter, by cutting out grain, wheat, and sugar, you are protecting your brain using preventative medicine. The brains plasticity governs the opportunity to reshape itself and regain function; promoting a sharper and stronger brain. According to the experts, by educating yourself and focusing on daily dietary choices, you can reverse the effects of these silent killers – but knowing is only half of the battle. As consumers learn what to eat and avoid, we ask Manufacturers: how do you know what consumers desire? Perhaps a taste test is in order! Taste test studies ensure product recipes incorporate customer preferences, and when a company listens, virtually guarantee satisfaction. Market researchers can evaluate appearance, taste, flavor profiles, texture/consistency, purchase intent, and package appropriateness with direction from product development team. Successful food manufacturers and marketers employ these methods to innovate and advance their products to stay ahead of the competition. This entry was posted on Tuesday, April 1st, 2014 at 6:05 pm. Both comments and pings are currently closed.